Cross training on the scheduled today....decided to rest today. A bottle to put it in. It came with six of their flavors including a limited edition of their Orange Cream. 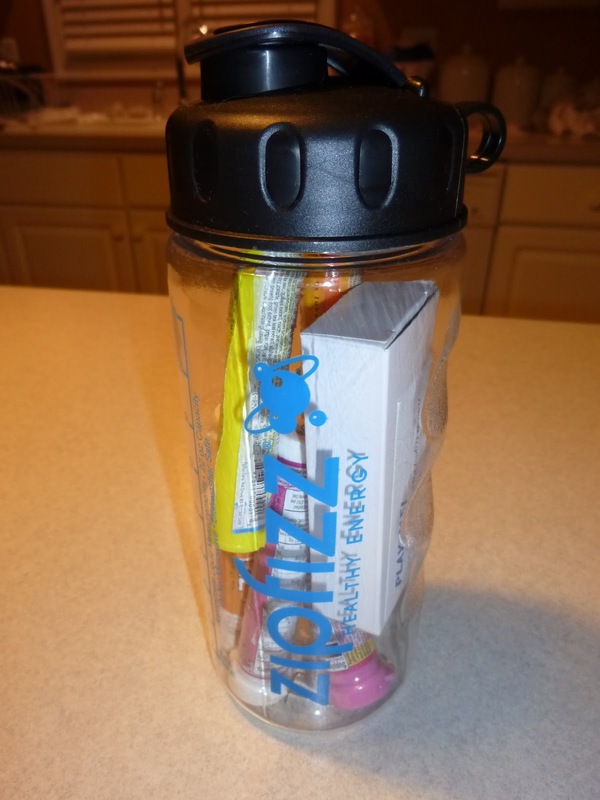 It also came with a water bottle to mix the drink together. Note to self: Do not shake a bottle when the top is not on properly otherwise it will go everywhere....oops. I started with the Orange Cream flavor. I LOVED IT(and frankly was not expecting to) and this was my favorite! Oh my gosh! It tastes just like an orange creamsicle that we got from the ice cream man when growing up. You know, those push pops? 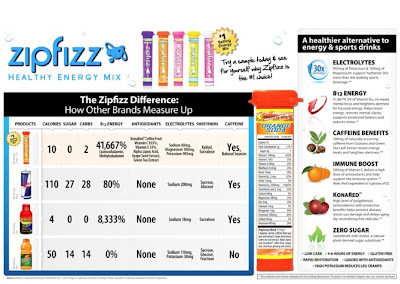 The drink also has a little zip to it, hence, the name Zipfizz. As you can see, it has LOTS of B12 Energy to perk you up along with Caffeine but it also has antioxidants, electrolytes and sweeteners as well. Bonus: It's only 10 calories AND no sugar! Facebook: Click HERE ; like them on Facebook for a $1 off coupon. You can also get them at Costco - $24.99 for 30 tubes. Not bad when you compare what the competition costs. As far as energy drinks go, I think they are one of the best choices out there currently. My preference is to have something with little calories and no sugar(which is quite difficult to find) so this fits the bill perfectly. ** I received the Zipfizz packet for free in exchange for a review. All opinions are my own and I was not required to give a positive review.